All measurements are for weapon only. The M2A2 weapon system has been tested to well over 50,000 rounds. Its single-breech lock system allows for field rebuild, eliminating the need for depot-level maintenance during its lifetime and thereby greatly reducing logistical support. U.S. Ordnance developed its M2A2 12.7mm weapon after years of experience manufacturing machine guns for the U.S. Department of Defense and U.S. Foreign Allies. 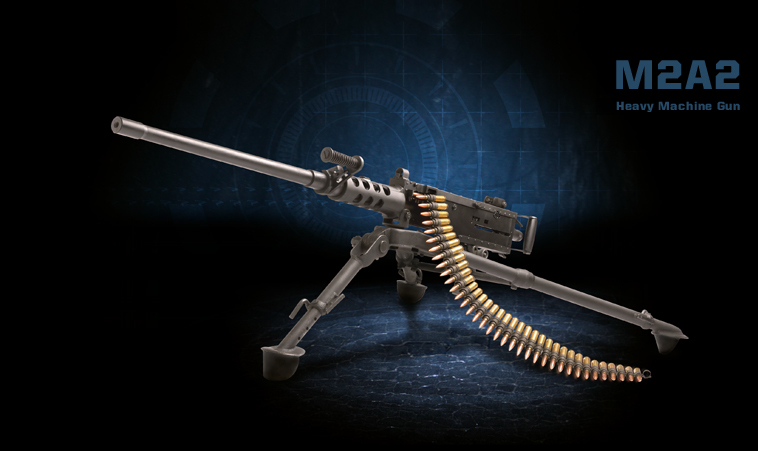 Its M2A2 offers the proven performance of the existing M2HB machine gun but also features fixed headspace and timing. This upgrade improves the performance of the battle-proven M2HB weapon system, largely increases the safety level for operating personnel and affords barrel changing on crew-served or coaxial-mounted weapons in 10 or fewer seconds. Only one person needs to change the M2A2 barrel, thereby reducing exposure to enemy fire and quickly readying the weapon for continued operation. Using only the A2 conversion kit, an armorer at the customer location can convert an M2HB machine gun into a U.S. Ordnance M2A2 weapon system in fewer than 30 minutes, without complex tools or machines.